The Conwy Bridge for the new railway from London to Holyhead to carry MP’s to Ireland was having problems. The resident engineer reported. With red hot rivets handled with tongs and hammered into place by hand this was a serious problem. Eminent mathematicians (Fairbairn and Hodgkinson) and the engineer (Stephenson) who had designed the revolutionary box design for the bridge which was the first of the two over the Conwy and the longer one over the Menai Strait, needed careful work. As a contingency chains were planned for the Britannia Bridge over the Strait in case the tube was not strong enough when constructed. They needed a solution quickly and called upon Richard Roberts an engineer, who was known for his care, personal skill and his inventiveness. Fairbairn and Stephenson had discussed the bridging of the Menai Strait as early as April 1845. Experiments on iron tubes commenced the following summer so that the design of the bridges over the Conwy and the Strait started in earnest about April 1846. Masonry work for both bridges was begun about this time, but it was not until June 1847 that the first shipment of iron began to arrive from Liverpool. Roberts would have heard about the proposals, as he, Fairbairn and Hodgkinson, the mathematician who helped with the designs were all members of the Manchester Literary and Philosophical Society. His patent for a Jacquard punching machine was made on the 5th March 1847 before the commencement of the ironwork for the bridges. It has been said that he designed the machine in one evening. His first machine was constructed at the Globe Works in Manchester. He was fifty eight year old. It is not clear what he intended it for, but the contractor on the Conwy bridge – Mr Evans, realised that it would be impossible to complete the work within the appointed time, unless he could obtain a machine with which to punch plates, this would be quicker and more accurate than the hand method of the time. A single hole at a time required twelve men to mark and move the plate under the punch. The new machine punched multiple holes in one single punch movement using just three men and a boy. A stack of twenty plates could have a rod passed through any hole such was the new accuracy with which Roberts machine worked. Work now proceeded a pace. The first tube was floated into place satisfactorily in the following year on the 11th March 1848 and opened to traffic on the 1st May 1848. Edwin Clark the resident engineer wrote later. The Jacquard punching machine was an immediate success at Conwy as it could make the necessary holes in a plate 12 feet long by 2 foot 8 inches wide and that plate replaced by the next one in about four minutes. The plates for the bottom of the tube were one half inch thick and required 144 holes 1 and 3/8’s in diameter, which were punched at the rate of 22 plates or 3,168 holes per hour. This work was completed by three labourers who lifted the plates off and on to the machine and a boy to oil the punches. A similar plate using the old method would have needed four men marking out with templates, and eight men at the machine, but all these men could not achieve the same output. It was also claimed that if the plates were stacked on top of one another a solid iron bar could be passed through the holes from top to bottom without interruption and any of two taken from a thousand plates could be riveted together without the need to correct the holes. There was no need for templates or markings while the strength of the plates was not weakened as much as with earlier methods. Roberts was born at Llanymynech, on the border between England and Wales. He was the son of William Roberts, a shoemaker, who also kept the New Bridge tollgate. Roberts was educated by the parish priest, and early found employment with a boatman on the Ellesmere Canal and later at the local limestone quarries. He received some instruction in drawing from Robert Baugh, a road surveyor, mapmaker and engraver, who was working under Thomas Telford. In 1857, aged 68, he presented a paper to the Institution of Civil Engineers, in which it was stated that he had also made improvements in punching and riveting machines by which it was said that they were considerably simplified and rendered capable of doing 50 percent more work and of better quality. Sadly he did not make his fortune. There are many other inventions by Roberts a twin screw ship using spiral vein contra-rotating propellers to give control over the vessel. One was built and was able to turn in its own length. He was appointed to the British Association Committee on Steamship Performance in 1859 and served on it until its dissolution in 1863. He advised Brunel to use wooden runners below his Great Eastern to allow for the unevenness of the metal runners. Brunel did not take the advice and took many months to float as the heavy ship welded itself to the rails. His work on land and rail transport was considerable. He built locomotives after the Rainhill trials. His personal interests included science. He was a subscriber to the British Association of Science and showed at their Dublin meeting in 1835 a slotted device which claimed to be an early form of stroboscope but was probably an early praxinoscope. This was shown with three other devices, which were related to retention of an image on the retina. One claimed to be revolving at 200,000 times a minute, 3,333 a second! At the end aged seventy five he was living in London looked after by his only daughter and Fairbairn and Symonds and others decided to seek a seek a crown pension for him in view of his contributions to the nation. Among those present were Admiral Sir Edward Belcher, Bennet Woodcroft and Zerah Colburn and letters of support were received from the Duke of Sutherland, the Earl of Caithness, Lord Stanley, Lord Alfred Churchill and Colonel French chairman of the Bombay, Baorda & Central Indian Railway. Fairbairn reported that the Manchester Committee had raised £1,500 with a further £1,000 promised. He also proposed the following resolution. It is not known how much this appeal raised but in January 1866, a civil pension of £200 was granted to her “in consideration of the high mechanical inventions and scientific requirements of her late father Richard Roberts.” She married Paul Theodore Luboldt by whom she had a son and died on July 9th 1869 aged just 34 just five years after her father. “One of the most gifted inventors and skilful mechanical engineers, who within the last half century, have added so much not only to the wealth of England but of the whole civilized world, has just passed away, at the ripe age of seventy five. In 1817 he built a planing machine to allow the machining of flat surfaces. Previous to this flat surfaces were laboriously made by hand with the fitter using hammers and chisels, files and scrapers to get a true surface. It is now in the National Museum of Science and Industry, London. He advised stiffening vessels by using beam corridors along both sides of the centre line of ships. Curved bows to ships now taken for granted in shipping. The first centrifugal railway or fairground ride. The addition of a screw to a lathe to allow accurate machining. In 1822 he patented a power loom. This was made entirely of iron and being precision-made was able to operate at high speed. This was a significant improvement to Horrocks’s 1803 metal-framed power loom, and accelerated the move to full industrialisation of the weaving process. His self-acting mule patented in March 1825 worked as sweetly as a Swiss watch. 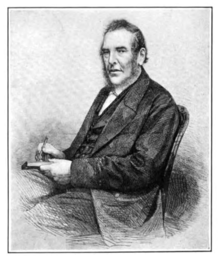 Samuel Crompton invented the spinning mule but it was Richard Roberts who exploited its full possibilities. He took Crompton’s brilliant but simple idea and turned it into a highly-sophisticated piece of textile machinery. Within three years, 100,000 spindles were in operation on Roberts’s self-acting mules and the total was 500,000 four years after that. It was used until the 1950’s to produce yarn of the highest quality. To accurately check the dimensions of the gears he adapted the sector. In 1817 he made a lathe able to turn work 6ft long with a back gear and saddle to allow different speeds of cutting. In 1825 he invented a slotting machine to cut keyways in gears and pulleys to fasten them to their shafts. He invented a “Alpha” pyramid turret clock which won a Prize Medal at the Great 1851 Exhibition. Roberts’s inventions had a seminal influence on other machine-tool engineers, including Joseph Whitworth, when Whitworth came to Manchester, a decade later. He has been described as the most important British mechanical engineer of the nineteenth century. According to Hills (chapter XIII, p 228,) his main contribution was the introduction of improved machine tools without which high standards of accuracy could not be achieved. This laid the foundation of production engineering as we know it today, leading to the inter-changeability of standard parts and so mass production.